Published by The Boston Music Company - Boston Mass. Q: What is 'The Ninth Gate' about? Q: What are all nine gates? Roman Polanski's movies aren't about shooting and destruction like so many other movies these days, his movies are about people and their remarkable adventures. 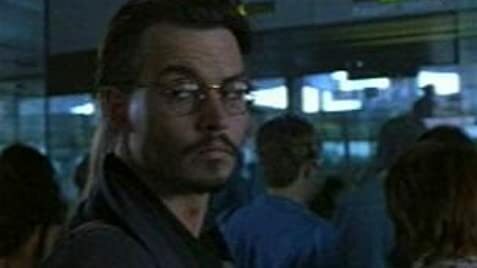 The Ninth Gate is supposed to be a thriller or horror movie but it is neither. 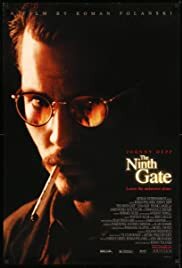 The Ninth Gate is an occult movie and that is a whole different ballpark. 'You have before you the mystery of which men have dreamed throughout the centuries. Thousands have died an agonizing death in hopes of just a glimpse of what you're about to see!' Those words are spoken by Boris Balkan, moments before he sets himself on fire in an attempt to raise the devil. The Ninth Gate is not only a movie about occultism, it is an occult movie by itself. First there is of course the obvious story that most people find quite disappointing BUT under the surface there is the real story that is only understood by those who are fairly familiar with symbolism and occultism. Although The Ninth gate is based on just a part of the book El Club Dumas, it is nevertheless a clever story of its own. The movie is about a riddle that is supposed to be hidden in three books, in the end that riddle is solved by Dean Corso. The movie itself contains a riddle and that riddle is to be solved by us. Besides the engravings, lots of symbolism and hints will help us understand the meaning of several strange events and eventually the meaning of what the story is all about and what happened to Balkan and Corso. The plot is created around a joke, a joke that is based on a misunderstanding. This makes a movie that one needs to see more than once, I bought the DVD and saw it over twenty times. The story gets better every time you watch it, pay attention to even the smallest details like the color of the mysterious girl's socks, there is a good reason why Corso has a shoulder bag and an overcoat he never seems to part from, until the 'notorious' very last scene; shoulder bag and overcoat are gone... Aren't you curious about the meaning of broken glasses in combination of a mark between the eyes? Search the internet for the answers to the questions you have. It's fun if you like to solve riddles, I had a great time.